Bell 206 Long Ranger-3 goes into action. 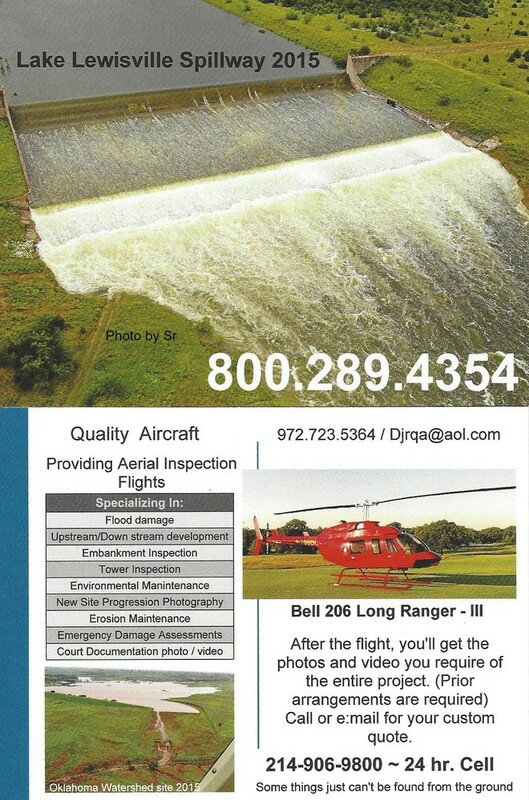 Quality Aircraft is a trusted and reliable source for on demand custom aerial photograpghy and video services. With aircraft and pilots located centrally in the state, Quality Aircraft can be at the required photo shoot location within a matter of hours. After the shoot is complete, we will schedule a meeting to go over the photos or video so that the client can choose the package they want. A discount is offered for clients that set up progression shots on construction sites and so forth. 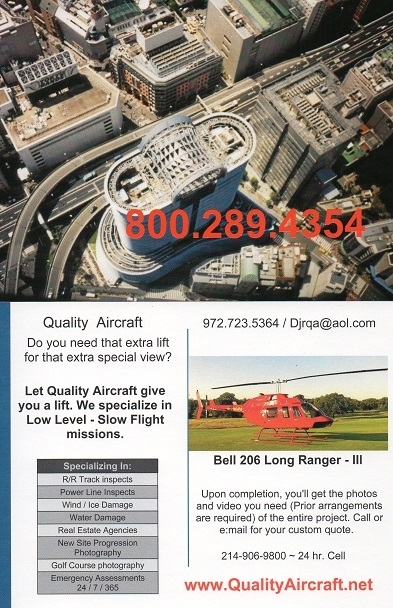 Contact us today to discuss your options and to request a package be sent to you that tells more about Quality Aircraft.